Are you tempted to do the Wooler Big ‘un but you’re nervous that you might run out of steam before the end (or you won’t achieve the necessary pace) and then have to spend hours in the broomwagon crawling behind the last cyclist to get back to Wooler? Don’t be concerned about that because we’ll be setting up a recovery shuttle service which will get you and your bike back to Wooler much more quickly without needing to trail the last rider in the broomwagon. For a start we’ve booked 3 village halls between Kielder and Wooler for feed and water stations. So if you withdraw and the weather’s poor, you will have a place to shelter with toilets and chairs (you can lie on the floor if you’re really knackered). Then we’ll have 3 vehicles which can carry bikes. The first (courtesy of the Forestry Commission) will shuttle between Kielder Castle and Elsdon, the second between Elsdon and Glanton and the third between Glanton and Wooler. It’s not exactly a taxi service, but it’ll definitely get to you back to Wooler safely and sooner than the broomwagon – with safe havens on the way. 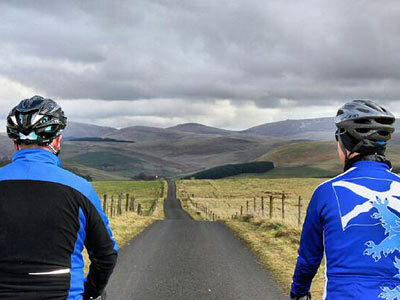 And for you riders who completed the Wooler Wheel Borderlands 170 on 16 May, did you know that you were still eligible for the Wooler Wheel Triad even if you didn’t use the single entry facililty (which ended on 3 May)? 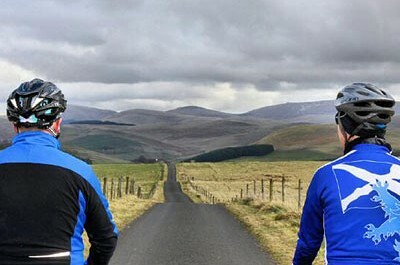 Doing the Triad is just a case of completing all three of the Wooler Wheel Borderlands 170, the Wooler Wheel Big ‘un, and the Wooler Wheel Classic 100 in 2015. Are you interested in the Triad and reassured by the Big ‘un’s shuttle service? Then you have until 23:55 on Sunday 19 July to enter the Big ‘un and up to 23:55 on Sunday 27 September to enter the Wooler Wheel Classic 100.